Lionel October, Director General of the Department of Trade and Industry, has less than 24 hours in which to make good on a promise he made to the sugar industry last month. He said an industry tariff issue would be resolved by the end of July this year. FairPlay sincerely hopes that he makes that deadline, because a strategic industry and thousands of jobs depend on it. The promise was made at the end of June, a government body considered a sugar industry application for an increase in the dollar-based reference price (DBRP) which is key to triggering tariff protection against movements in the world sugar price. The world price is artificially low, because of subsidised overproduction in major sugar producing areas such as Brazil and the European Union. All sugar producing countries, including South Africa, take measures to protect their local industries and local jobs. 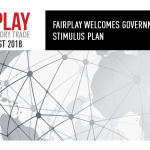 In South Africa’s case, the tariff response mechanism has proved slow and ineffective, with the result that the local industry is shrinking. Huge volumes of subsidised imports have reduced local production and cost thousands of jobs. The industry calculates that 340 jobs are lost for every 1 000 ha of sugar cane that goes out of production. The industry has applied for an increase in the dollar based reference price from $566 per ton – a figure that has been unchanged since April 2014 – to a more realistic $856 per ton. The application, supported by the Department of Economic Development, is being considered by the International Trade Administration Commission of South Africa (ITAC), based on the DTI campus in Pretoria. 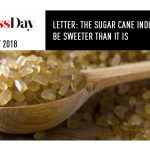 In June the sugar industry – large and small sugar producers, and unions representing those workers – marched on the DTI to show their support for the application, which was lodged in February this year. In a public statement to the assembled marchers, Mr October stated that ITAC was in a meeting to consider the sugar industry’s application. “In July we will resolve this matter. We will fast track this matter,” he said. The sugar industry and its workers are hoping he will be able to keep that promise. 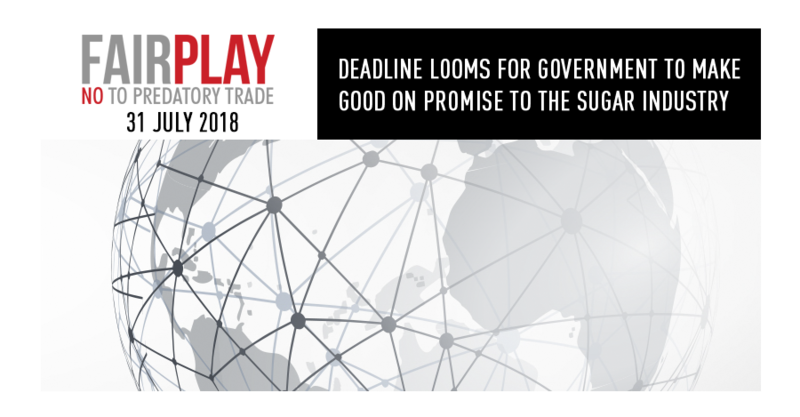 The FairPlay movement, which fights for jobs and against unfair trade practices, supported the sugar industry march and will be monitoring the outcome.